Early in the morning, travelers will have time enjoying a nutritious breakfast and plan on another day of discovering. 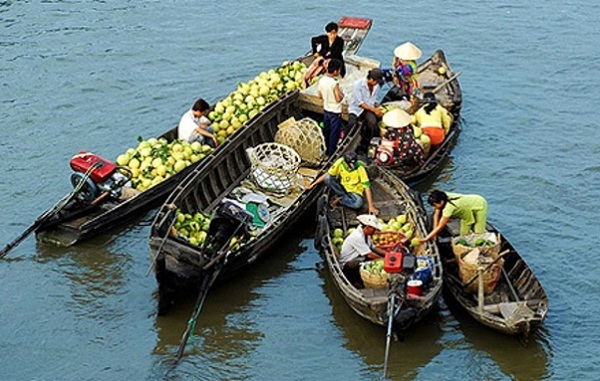 Visit Cai Be floating market to see how locals operate their trading activities on the river; take a rowboat trip along lively narrow canals of the Delta shaded by a large number of coconut palms are all that you want to do. After enjoying relaxing time enjoying delicious lunch at the floating restaurant, visit a brick workshop and many ateliers to know how Vietnamese still use old technologies kept for generations to create so many things with their hands. Traveling around by a “xe loi”, a unique local means of transport popular in small villages is a great choice to make your trip more exciting before joining in an adventurous speedboat trip back to Saigon. Depending on your schedule, you will then visit a traditional riverside house with large Burmese demons as pets or a traditional pottery workshop, where you can know how the arts and crafts of the Delta region are made. Exploring the nearby village, rolling fields of semolina as well as symbolic rice paddy is also appealing activity. Another alteration of the tour starts with tasting local Delta produce especially the whisky and wine of Mekong. Then walk along the richly green banks of the river to a local rustic Vietnamese house, where 3 generations stay harmoniously together. 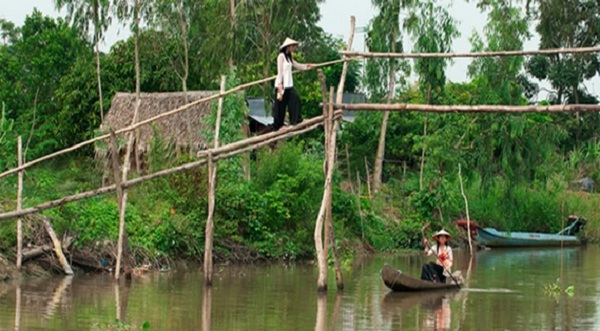 In these peaceful villages, by your guide, you will be introduced to the owners of the houses, each of who has his own stories of life in the Mekong to tell. 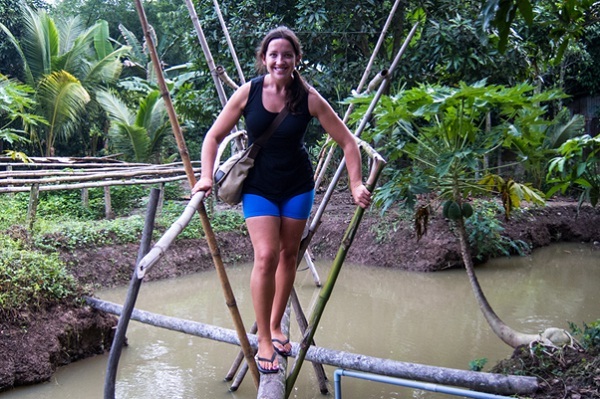 The next variation provides more of a glimpse into living in the Mekong Delta as well as its unique customs and stunning culture.